Sergei opens National Museum with a new dance video. The film, “Awakening,” celebrates the reopening of the National Museum of Serbia in Belgrade after a long period of renovation. It features Sergei Polunin as he wanders through the Museum’s atrium. He demonstrates new energy coming to life again through its rooms and galleries. Music by Isidora Zebeljan (“Selište, Deserted Villages, Elegy for an Orchestra”, published by Mascom). Produced by Tuna Fish Belgrade. Executive production by Sound Ray. The following are stills pulled from the video. Sergei is simply stunning. Below the images is the entire original video. This article appeared in the MARCH 15, 2018 issue of Another Man magazine. For those who don’t know who Polunin is, there’s a simple introduction. Go to YouTube, type in his name and step back in wonder. At last tally, there were 20,860,577 views of a video, directed by photographer David LaChapelle and backed by Hozier: Take Me to Church captures Polunin’s last dance, his farewell (at age 24) to ballet, an art he’d studied since the age of four, an art to which (as he tells it) he had sacrificed both his childhood and his family. In the video, Polunin takes traditional ballet and turns it into catharsis. He seems to hover in the air, to float, to fly. His body is lean, nearly naked, covered in tattoos. His face shows a mix of emotion: vulnerability, frustration and, finally, elation. It’s intoxicating to watch. In the 2016 documentary Dancer, Polunin’s story is chronicled in all its mythic rise-and-fall glory. It goes something like this: born in relative poverty in the Ukraine, he was crowned a ballet prodigy soon after he took his first steps. His mother, father and grandmother did everything in their power to put him in the best schools, offer him the best possibilities. This meant separation, his parents’ eventual divorce, Polunin on his own in London as a pre-teen onward. He was the top student at the prestigious Royal Ballet Academy and aged 19 selected as the youngest principal dancer ever of the Royal Ballet. He was feted and celebrated, critiqued and acclaimed. His rebellions were tabloid fodder. His victories were breathtaking. To watch Polunin dance is to be awed. But it was all too much, a fast build to a dramatic end. Despite this enthusiasm for dance, Polunin is still very much the rebel when it comes to defying the ballet establishment. His much talked about exit from the Royal Ballet still obviously hits a raw nerve. He bristles when talking about his experiences with the more conservative aspects of the art. His voice grows lower, tense. The dedication he has to share dance with the world, is also a reflection of the stubborn perseverance he learned from many years and countless hours committed to his craft. It is because of this perseverance that, today, Polunin is not just surviving, he’s thriving. He’s dancing all over the globe, performing just the past evening for thousands at Los Angeles’ legendary Hollywood Bowl. Spend time with Polunin and you realise what defines him most is this earnestness – emotion and truthfulness always moving across the surface for all to see. He speaks his mind, for better or for worse. Self-obsessed and self-aware, Polunin, at 27 in 2017 – is beautiful, famous, volatile and complex. And there is more to come. More dance, more art, more self-exploration. Sergei Polunin is many things… and usually the superlative of every last one. In this post, I choose to focus on something that (like most of what he does) not all of us come by naturally… his groove. Sergei is, without a doubt, wicked groovy. Boasting the swagger of the young and carefree, he fuses exquisite ballet technique, superb natural abilities, and stunning physical attributes into one very cool persona. Sergei palling up with David LaChapelle for the Diesel “Make Love, Not Walls” promotion was a groundbreaking, masterpiece of psychedelic peace, love, and harmony. Yes, he is a white tights ballet god if there ever was one, but, never has a pair of jeans looked so good. The film footage is stunning and shows off his youth, talent, and exuberance. His happiness is contagious, and one cannot help but smile and step a little lighter after watching the production. Now, as one who looks at video as a raw medium to be played with, celebrated, promoted, and spread forth even farther across the vast interwebs, “Make Love, Not Walls” was irresistible. First off, I give complete and utter props to those who created it in the first place and it is with great care that I honor their vision. It is my goal to maintain their original ideas, plans, and wishes, and send worthy reincarnations of it out to to reiterate and reinforce their conception. That being said, here are a trio of my works that were inspired by and born of Diesel’s amazing 2017 advertising campaign “Make Love, Not Walls,” by David LaChapelle. The ballet season at the Stanislavsky and Nemirovich-Danchenko Musical Theater opened on September 29 with Swan Lake. Vladimir Burmeister’s version. Apart from the fact that it is a cult spectacle for the theater and, in general, a cult Russian ballet, plus the highest-grossing ballet of all time. The “Swan” Burmeister celebrates several dates this season. Sixty years from the day of his birth will be celebrated with official festivities and even a mini-festival at the MAMT in April 2013. Secondly, on September 9, it will be eighty-five years from the birthday of the first Odette-Odile Violetta Trofimovna Bovt (1927-1995). The famous Moscow ballerina danced for thirty-five years on the stage of her native Stasika, becoming the first performer of many ballets of the post-war repertoire. The main reason to visit this first performance of the season was not his “bearded” jubilees, but the debuts of young performers – Erika Mikirticheva and Sergei Polunin . The latter began the duties of the premiere of the Moscow theater at the end of last season, having fled in February from London‘s Covent Garden. Despite his youth (22 years), the artist, apparently, experienced an existential crisis. He got too much luck – he came from Ukraine, he joined the celebrated English troupe, quickly became principal, he danced a dozen leading roles from Capt. Solyon in the “Winter Dreams” of McMillan to Solor in La Bayadere. In passing, I found out that he does not need a free flow of roles, if there is no time for reflection. Polunin resigned and went into hiding until he was caught up with the call of the choreographer of the ballet MAMT Igor Zelensky with an invitation to Moscow to work and with promises of a creative atmosphere (in one interview, the artist complained that his English director, Monica Mason, had never even really talked to him ). The atmosphere for the dancer was unusual: almost two hours it was necessary to be on stage and only twenty minutes of them to dance – basically as a ballerina supporting partner. The fact is that Burmeister, when composing his version of Swan in 1953, made changes mainly to the plot, to the composition inside the paintings, to the music and the party of Odile, and Siegfried received almost nothing in comparison with the pre-revolutionary editions. Burmeister in the play has a prologue and an epilogue, which clearly tells the story of the transformation of Odette into a swan: a curtain opens in the middle of the overture, a young girl in a white dress runs out from the wings, an evil owl (Rothbart) stands on a rock and wings theatrically, the girl disappears imperceptibly, Then on the flat lake in the background a plastic swan moves in the crown, the curtain closes, and the music still sounds for a few minutes. 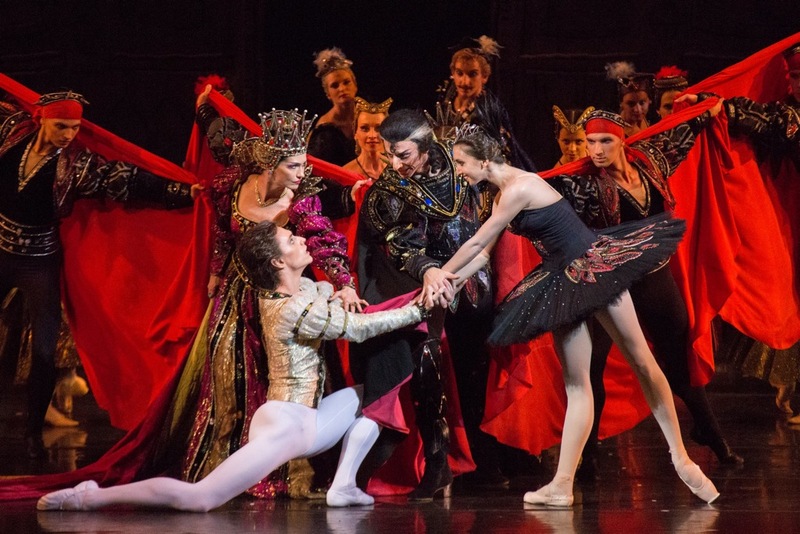 while his friends and a jester entertain him and themselves dancing to the music that was originally written by Tchaikovsky for this picture, but later partially capped, and partially used by Petipa to create his brilliant black pas de deux 3 act. The courtiers flaunt semiclassical dances, which once made their creator famous, and today look very archaically – as museum exhibits from the era of the USSR. All the time you expect that secondary characters with jumps to dull sixth positions will give way to the handsome prince, but will not happen. The second picture corresponds to the classical white picture of Lev Ivanov, only in a shortened format (there are fewer swans, the amplitude of all movements is more modest). Polunin, when he reached his short variation, gave out to the maximum – picturesque pirouettes, double tours with accurate landings in the fifth, stone solid, etc. In pantomime and gaming pieces Polunin kept in character delicately, which pleased. The fourth picture is not significant, except for the sugary, fantastic-plastic happy ending. Odette does not just not die a swan, she survives and regains her human appearance (puts on a dress and looks like a fairy Alyonushka) to match Siegfried. The work of Erika Mikirticheva was rather liked, although she still has to sharpen the role. There were a lot of technical inconsistencies that would improve in time. Actress’s audacity Odile, she threw out with interest, but not enough aplomb and, in general, hardness in the movements. In the theater they openly say that they have a change of generations. Two debuts of the young in the first ballet evening – this is a good start. We will wait for the continuation. 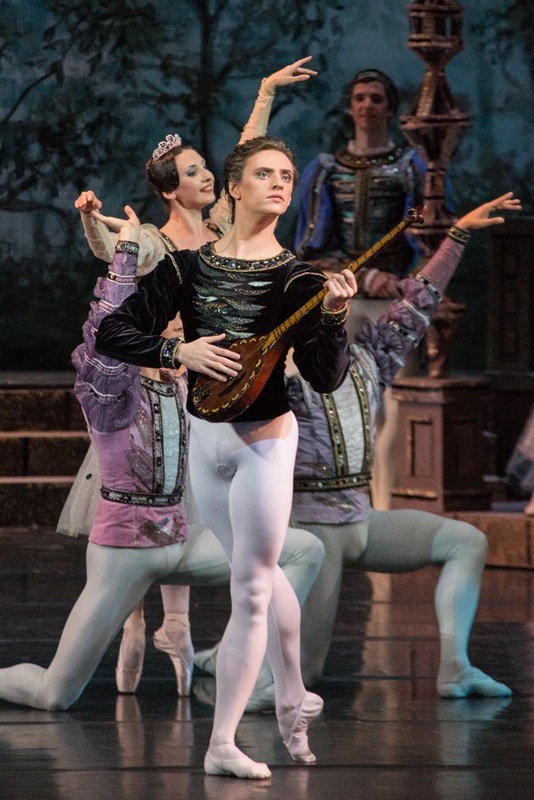 October 29 Polunin will dance Basil in “Don Quixote” A. Chichinadze – another rarity from the “treasury” MAMT. Earth, Air, Fire, Water… and Sergei!! This is a ballet|Полунин балет iMovie by Pam Boehme Simon. Two ballets about separation dominate the Royal’s latest mixed bill – Kim Brandstrup’s Invitus Invitam and MacMillan’s Winter Dreams. Each of them has a pair of tragic lovers at its centre, each attempts to compress their story within a single act. In every other way the two are poles apart. Brandstrup’s new work makes a poetic virtue of its own compression. Its lovers are the emperor Titus and his mistress Berenice, about whose separation nothing is known beyond a simple report by the historian Suetonius that “against his will and against her will they parted”. Inspired by the agonised resonance of those few words, Brandstrup constructs his ballet out of three short duets. Set to Thomas Adès’s Three Studies from Couperin, these are passionate, fluent exchanges between Titus (Edward Watson) and Berenice (Leanne Benjamin) in which every small inflection as well as every turbulent lift comes saturated with challenge, tenderness, despair. Particularly eloquent is the transition from the flaring, conflicted lines of the first two duets, where the couple are still in partial denial, to the heartbreak of the third. Here, the spare formality of Adès’s music expands to romantic fullness and the choreography mimics it with a melting folding anguish. What the ballet deliberately avoids is any sense of why Tito and Berenice have to part. Instead it punctuates the duets with interludes of “real stage time” during which we watch scenery (bare brick walls) being shunted onto the stage. These gaps act as question marks, invitations for us to imagine the backstory ourselves. Yet while they’re one way of solving the problem of narration, especially in a one-act ballet, they introduce an element of awkwardness. Winter Dreams is awkward in many other ways. In this version of Three Sisters, MacMillan puts all of Chekov’s main characters on stage, then ambitiously attempts to contain their different stories within a succession of short danced vignettes. Given the right ensemble, these vignettes can gel into an atmospheric evocation of the play. But with Carlos Acosta badly miscast as Vershinin, even the delicately drawn suffering of Marianela Núñez’s Masha doesn’t begin to make it hang together. The fun of the evening comes in the two works that open and close it. Lauren Cuthbertson delivers a pitch perfect fusion of period glamour and intelligent style in Ashton’s La Valse. Sergei Polunin, in a miracle of classical precision, virtuosity, and romantic uplift, upstages even Tamara Rojo in Balanchine’s Theme and Variations. Lauren Cuthbertson makes her mark in her debut performance of Manon at the Royal Opera House. In 2009 the Royal Ballet principal Lauren Cuthbertson was diagnosed with glandular fever, which turned into agonisingly debilitating ME and necessitated not only an 18-month lay-off from the stage, but long periods of total physical incapacity. She might never have danced again. In fact, she has returned to the stage, a different and more interesting ballerina, one determined to fulfil her ambition to perform the most challenging roles in the balletic repertoire. And as challenges go, Kenneth MacMillan’s Manon is up there with the best of them. His three-act interpretation of the Abbé Prévost’s tragic novel is not so much the story of virginal innocence corrupted but of a voracious minx foiled. Manon may be on her way to a convent when we first see her, but she is never in any doubt about the power her beauty grants her in the world, and her treatment of the adoring student Des Grieux, whom she abandons for the jewels and furs offered by a rich protector, is little short of scandalous. 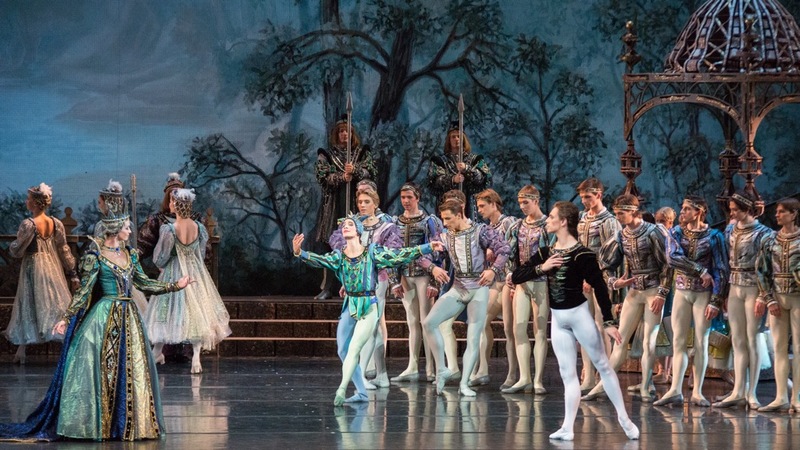 The trick is not only to negotiate the intricate swoops and entanglements of MacMillan’s evocative choreography, which sees Manon constantly passed from man to man like an expensive bauble, but also to make you care about this calculating, irrational heroine. On her debut, Cuthbertson makes her mark. This is a wonderfully detailed performance, a carefully charted journey from girlish tease to enraptured lover to hard-bitten courtesan and finally to heart-broken and dying waif. She makes you so conscious of Manon’s love of luxury, her longing for the good life, that you understand her rash decisions even if you don’t sympathise with them. Her dancing is sumptuous but careful; there is a tiny bit of abandon lacking. Her Des Grieux, however, is another matter. Sergei Polunin’s extreme youth makes him perfect for the dewy-eyed dreamer who throws his life away in thrall to Manon’s beauty. When we first see him in a big hat, with clumsy, out-turned feet, he is almost comically the innocent abroad. Then, as the role takes hold, the sheer purity of his movement in the lingering solos and impassioned pas de deux enables him powerfully to express his character’s ardour and despair. Together, the couple find emotion in unexpected places, not in the big duets, but in the party scene, for example. The moment when Des Grieux pours out his disgust and despair at his love’s behaviour has rarely been more powerful. With wonderful support from Gary Avis as a particularly vulpine Monsieur GM and Jos Martin in ferociously sharp form as the conniving Lescaut, this is an evening to relish.